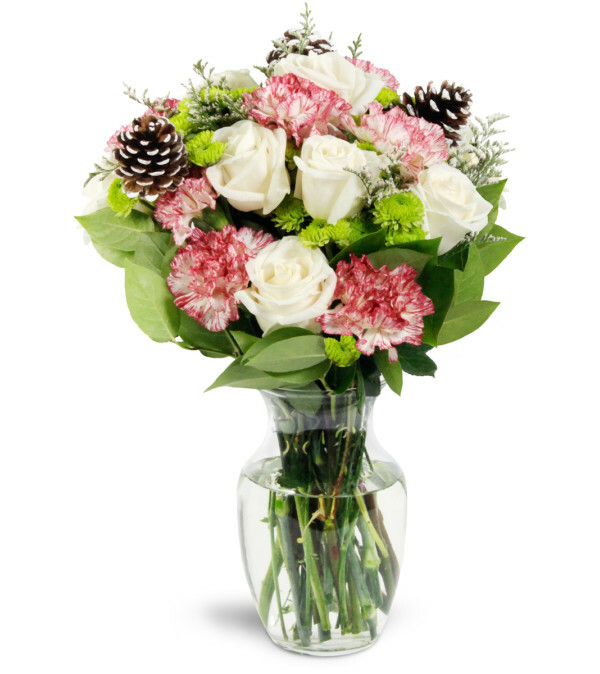 Share your warmest holiday wishes and send a bouquet bursting with Christmas cheer! Whether that special someone is near or far away, your thoughts will shine through with this wintertime stunner. 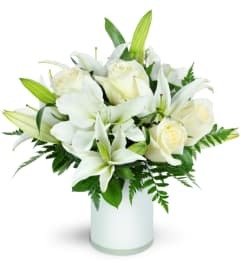 Creamy white roses and jolly peppermint carnations are arranged with white-tipped pinecones and green mums in a classic clear glass vase. Thank You !!! Beautiful ! The flowers are beautiful. Thank you for filling this order and delivering them on such short order. I was so impressed with the service I received and the care HQD Flowers showed when creating a special arrangement for my daughter and her husband! 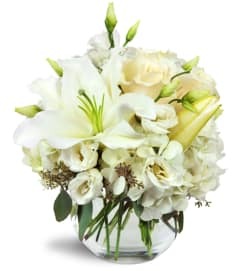 The owner really took the time to ask the significance of the special flower I chose, and really find out what she would like in the arrangement! 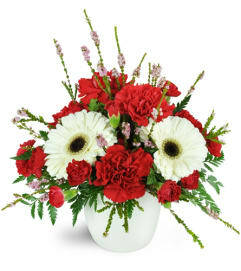 HQD Flowers is a Lovingly Florist in Palm Coast. Buying local matters. Discover how Lovingly supports local florists. Copyrighted images herein are used with permission by HQD Flowers.